Our farm to fork sessions are aimed at whole year groups or classes. The sessions seek to increase children’s awareness of where their food comes from and what is involved in producing it. Whilst aiming to be fun, enjoyable and interesting, the sessions have a strong educational content, fulfilling multiple elements of the National Curriculum. 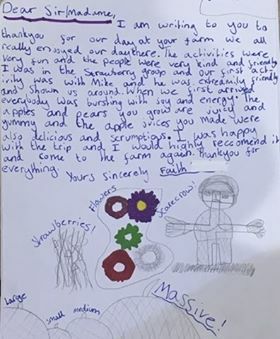 Depending on the time of year, children will harvest produce and understand how maths and science are key skills in farming. To use the pumpkins as part of the trip, you will need to visit before the end of October. Supporting the “Farm to Fork challenge”.